Home / News / Aravinda Sametha to set first weekend collection record? Aravinda Sametha to set first weekend collection record? NTR, Trivikram Srinivas's Aravinda Sametha is all set for a grand release on October 11, and the movie being the biggest release of the month has been planned to hit the screens in record number of theaters across Telugu states and overseas. Will Aravinda Sametha set first weekend collection record? Yes, the film has the highest chances to set new records thanks to the super positive buzz of this first NTR-Trivikram combo ever. And most importantly, the Andhra Pradesh government has given a special permission to hike Aravindha Sametha’s ticket rates in few districts for the first weekend, along with the screening 5 shows, which adds to the benefits of extended first weekend collections. Aravinda Sametha first weekend collections are going to be humongous, all chances to set new records as well. 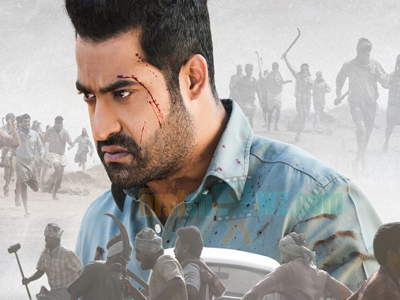 Stay tuned to firstshowz.com for Aravinda Sametha release theaters, pre-release business, collections, first show and more.